Comments: Palm tree from Brazil. 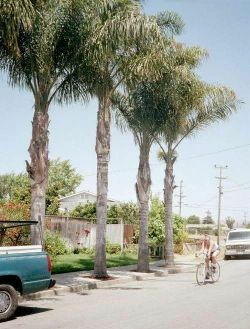 A slender palm growing to 40' when mature. Leaves are feather-like with pale green color. Trunk is smooth and gray. Trees can be a bit messy when shedding fronds, but the fronds eventually detach from the trunk without pruning.